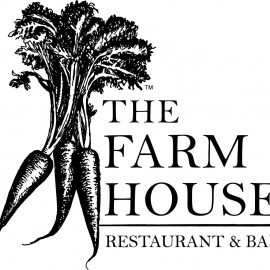 Chef and entrepreneur, Trey Cioccia, formerly of Cantina Laredo and Capitol Grille, opened The Farm House, his first restaurant, in the SoBro neighborhood of Nashville, Tenn. in October 2013. The concept focuses on traditional Southern cuisine featuring modern technique and fresh, locally-sourced ingredients. The Farm House is located in a 4,000-square-foot retail space of the live/work/play Encore development. The décor of the restaurant keeps with a classic Southern aesthetic featuring handmade accents, furniture made from re-purposed barn wood, Tennessee heirlooms, and warm, modern lighting. 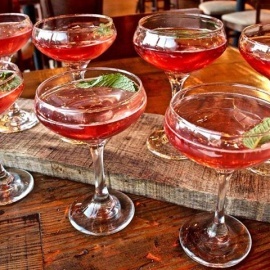 Chef Cioccia is no stranger to the Nashville fine-dining scene. Holding dual degrees in culinary arts and hotel & restaurant management, he has over a decade of experience as a chef. Chef Trey Cioccia’s Southern-inspired fare and gracious service combine to create a memorable dining experience in the heart of downtown Nashville.